Talk Page Messages were just the generalized basic form of notification, where the user used to get an alert message written: “You have New Message from XYZ”. While mobile technologies are getting more interactive, then why not the notifications? With upcoming of Push Notifications, there is a huge revolution in the trends of notification in mobile technology. Now, the notifications are not at all the boring sustained messages. Push Notifications are pop-up messages on the device. The pop-ups can be either any exclusive offers or sports score or a message notification and many else beyond imagination and expectation. They are alike SMS text messages or mobile alerts, but they are more interactive and demonstrative than that. Push Notification doesn’t require specific application on a mobile device to be open in order for a message to be received. This allows a smartphone to receive a message and display as a text message or picture message even when the device screen is locked. The user only needs to have the application in the device. For any business app, push notification is the best reach to the targeted audience. Push notification is far above the annoying advertisement popping up on the screen. The notification appears as the Pop-Up message, badge or system bar notifications. The user can have multiple push notifications in the notification bar subject to the apps in the device. Apple launched the first push notification service called Apple Push Notification Service (APNs). Later in 2014, Apple added interactive buttons for instant response. 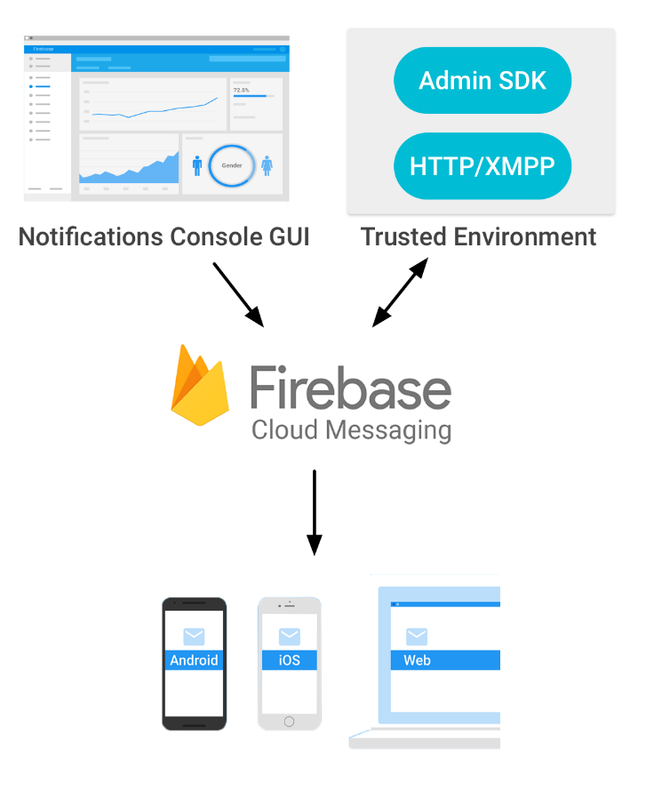 Google released service for push notification named – Google Cloud to Device Messaging (C2DM). Later in 2013, Google introduced Rich Notifications which along with action buttons also contains images. Microsoft declared that WNS will be used to send the push notification in Windows phone. Analysis report depicts that Android is 4 times more powerful than iOS in engaging users through push notifications. While in terms of median time, iOS user opens push notifications in 7 minutes and that of Android in 48 minutes. Message provider needs to set up a server. This server send push notification text to the Android/Windows/iOS Push notification. When the app is accessed by the user, the server registers that device, so the notification is sent to the particular device only. This is done to avoid malfunction. The message provider write the code at server side to send the push notification. Once it gets the message to be delivered, it sends to the devices and the users receives the prompt of the push notification messages. Major users to utilize Push Notifications are Developers, Any Service Provider/ Message Provider and End-Users. Feature of push notification in mobile app development is beneficial to each of them based on their roles and requirements. A push notification in android app development can be displayed in different ways based on the requirements and users need.